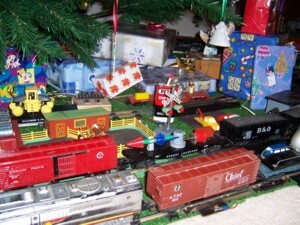 I grew up with American Flyer trains. When I was born, my older brother already had an American Flyer Frontier set. 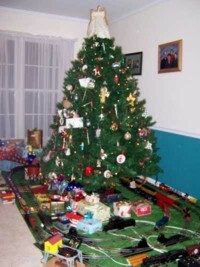 From as early as I can remember, I loved to play with American Flyer trains. I got my own set for Christmas when I was almost seven years old. The engine was a Casey Jones (21166) and the set came with a UP Stock Car (24076) and the standard red American Flyer caboose (24603). Over the next years, I could always expect additions to the collection for Christmas and my birthdays. As I got older, I discovered that American Flyer trains weren't being made anymore. I could still order some things from Hobby Surplus Sales, but the selection decreased as the years went on. 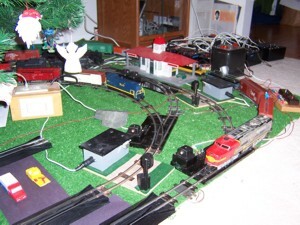 I ended up learning how to make a lot of things for my layout on my own. Designing and fabricating electrical projects for my train turned into a strong desire to understand electrical and electronic theory. This interest followed me to the Naval Academy where I was one of the few who majored in electrical engineering. 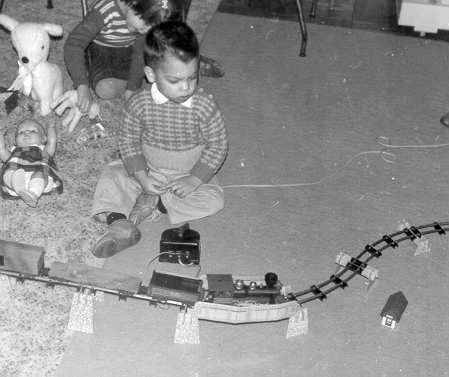 Unfortunately, my trains couldn't come with me into the Navy, so they were stored in my parents basement for many years. As the years went by, my parents were anxiously waiting for when I owned a house of my own so they could empty their basement of my possessions. 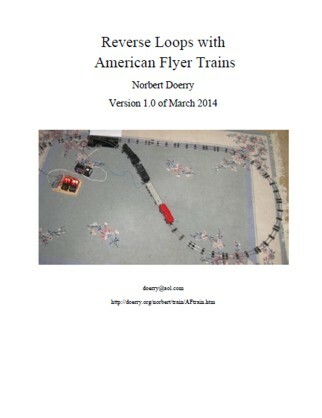 Well, that happened over ten years ago, and as expected, my parents delivered my American Flyer trains to me. My trains were back. 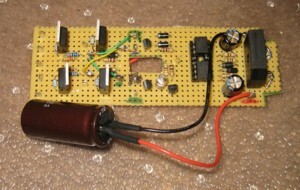 Over the years, building electrical/electronic projects continued to be one of my hobbies. With my trains back, it was time to re-unite my railroading and electronics hobbies. 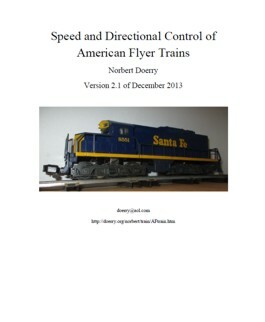 For many years, the amount of time that I was allowed to have my layout up was limited (Only between Thanksgiving and New Years), I concentrated on building automatic controls for the layout. So far, I've developed a bunch of circuits that enables two trains to share a stretch of track, developed a number track trips, and even created my own E-units. With my daughter now off to college and her former bedroom converted to the sewing room, I now have room in the basement for a permanent layout. 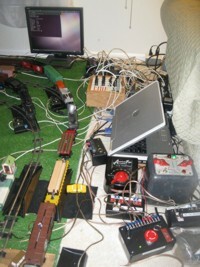 As I develop the layout, I will update this web site.